Image Size: 37 X 31 in. You can brighten any room with happiness of fresh flowers and the romance of Tuscany. 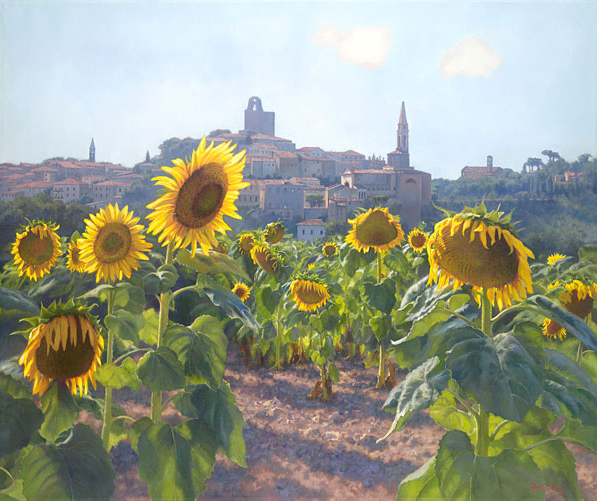 Sunflowers of Castiglion Fiorentino is available as an oversized MasterWork™ Fine Art Canvas for large spaces and as a moderately-sized Fine Art Canvas Edition as well. You might not have a home in Tuscany, but with the art of June Carey you can enjoy Tuscany in your home!